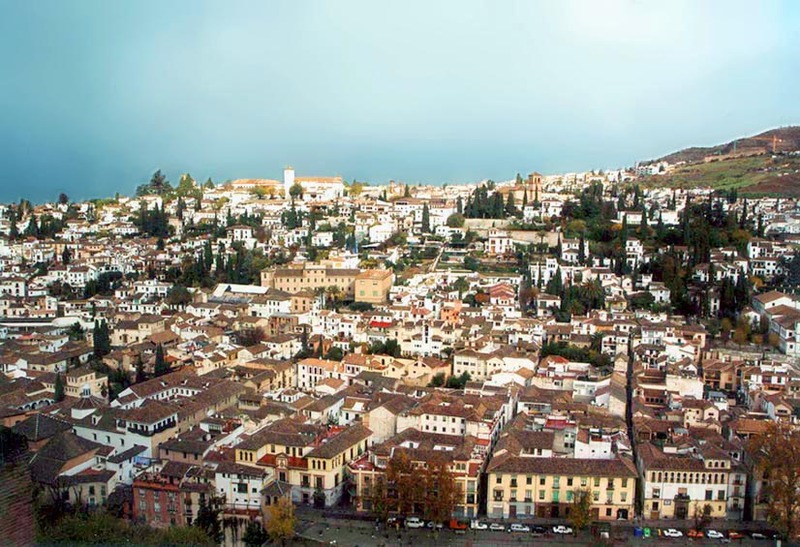 An overnight train took us from Madrid to Granada where we arrived at about 8 a.m. According to the travel guide, we had to get to Plaza Nueva where the cheapest and nicest hostels were all located on an adjacent street. The rain was still coming down on us as a curse and not making a reservation in advance was about to become a real problem. After a very long half hour of going up and down the street while trying unsuccessfully to find a room, we almost lost hope. 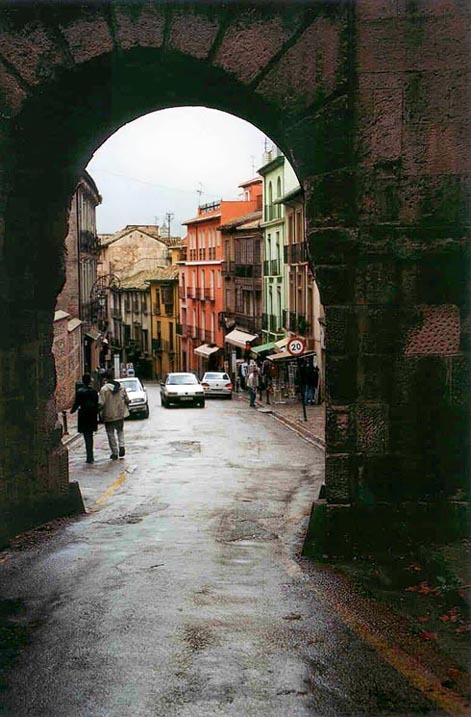 Finally, a Hostal Residencia Britz’ concierge reassured us we would have a room in a few hours, was very pleasant, and suggested we visit Alhambra immediately to avoid crowds. 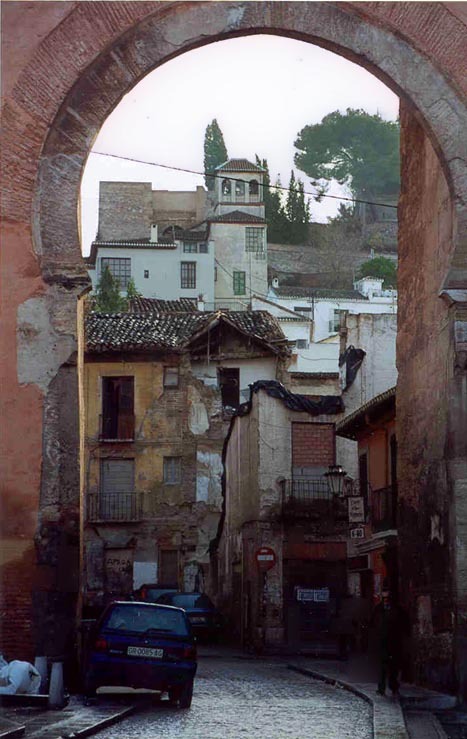 A red minibus took us from Plaza Nueva up the hill right to the ancient walls of Alhambra. The sun was beginning to show through the clouds, and although the fine rain was still drizzling, it was no longer unpleasant. The air and our mood were warming up fast, and thinking about the two-week trip that lay ahead of us was making us happy. 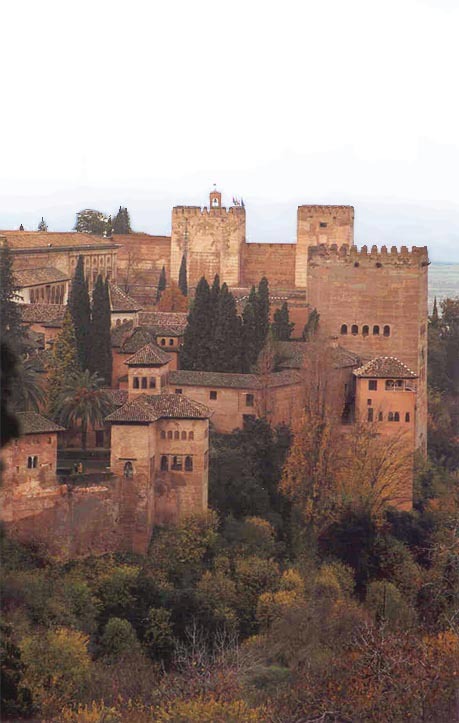 We started our tour with Generalife Gardens. Everywhere calendars were opened on the November page, but the beautiful royal gardens were defying the nature's course. The recent rain left a delicately fresh earth scent in the air and trees were in the prime of their bloom -- it was spring in the gardens! Instead of taking a bus to the hostel, we decided to walk back. 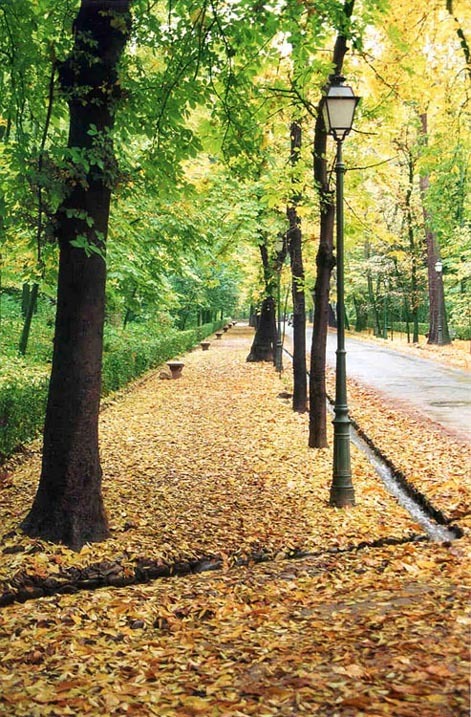 The leisurely stroll through the autumn park was very enjoyable. As we approached the end of the park, we watched the city appear on the other side of the old stone arch. The next day we left our hostel at dawn. 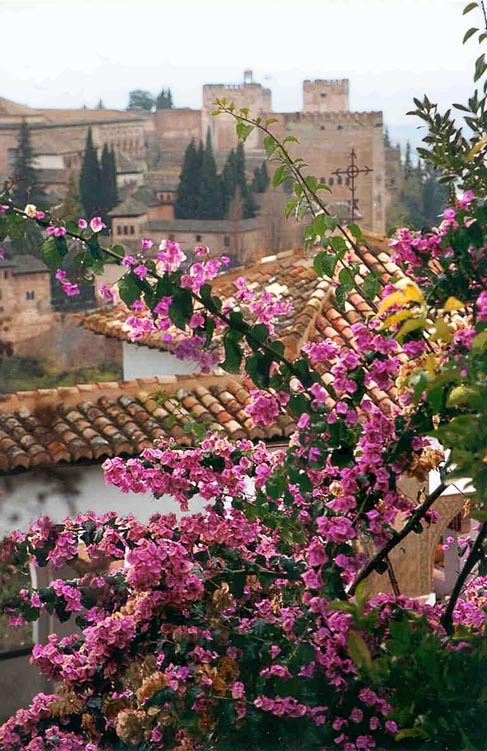 In the early morning the narrow streets of the old Granada were lit with sunshine and quiet. Once in a while we’d see small groups of youngsters coming back from the all-night partying in local bars and on the streets. A lone street cleaner was clearing out the remains of the previous night’s fun. Otherwise, the city was still deeply asleep. 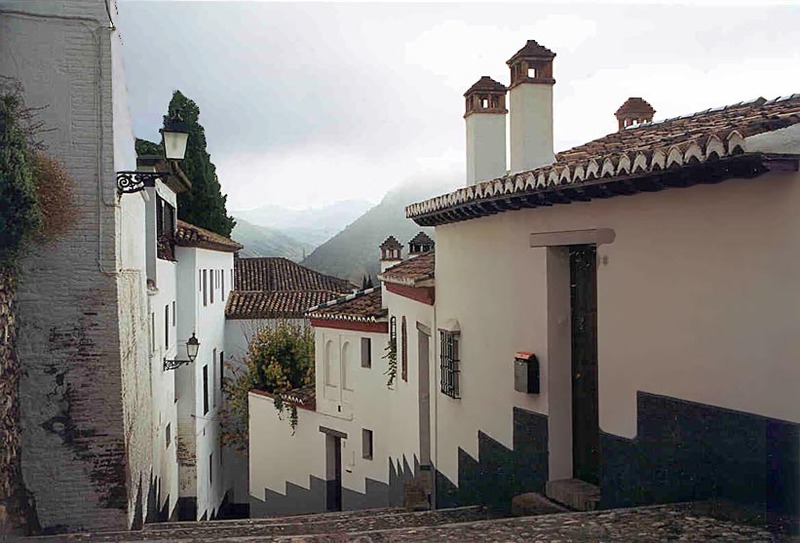 We walked through the empty streets, taking pictures of old white houses and cobbled side-streets, climbing higher and higher until we reached San Nicholas church. 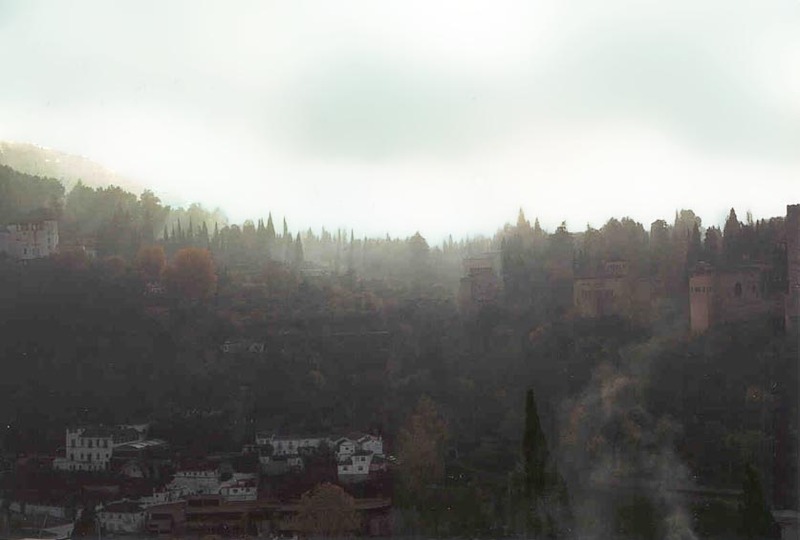 There we could get the best view of Alhambra and glance at the city from the high above. As the sunrays grew more confident, as the gray fog lifted from the ground, as women started their morning rituals, the new day began.